Merida is known for its rich history in Maya culture and tradition. The Yucatan capital was found on January 6, 1542 by Francisco de Montejo, but the history of Merida goes back to the ancient Maya city of Ichcanziho. Merida was built on the ruins of the ancient Maya city. Today Merida still embraces several Maya culture and tradition, from food, to having reenactments of the ball game every Friday, to even the people. 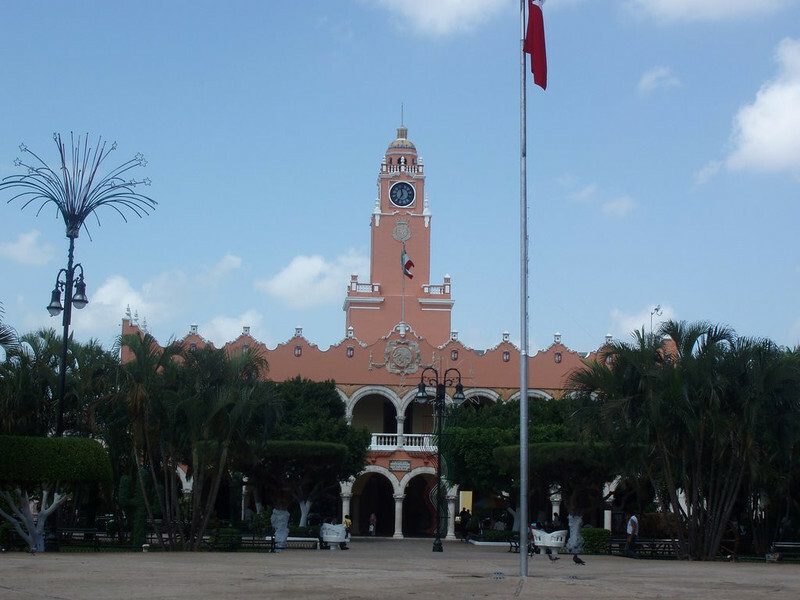 It is no surprise why Merida is known as a colonial city, but now this cosmopolitan city has distinguished itself from other cities in Mexico by having something very particular that only can be seen in its originality in the state of Yucatan, even more in Merida. The you and me chairs, or the “sillas tu y yo” are what brings a uniqueness quality to this beautiful city. It is very rare to find in any other Mexican state to have an abundance of “sillas tu y yo”. 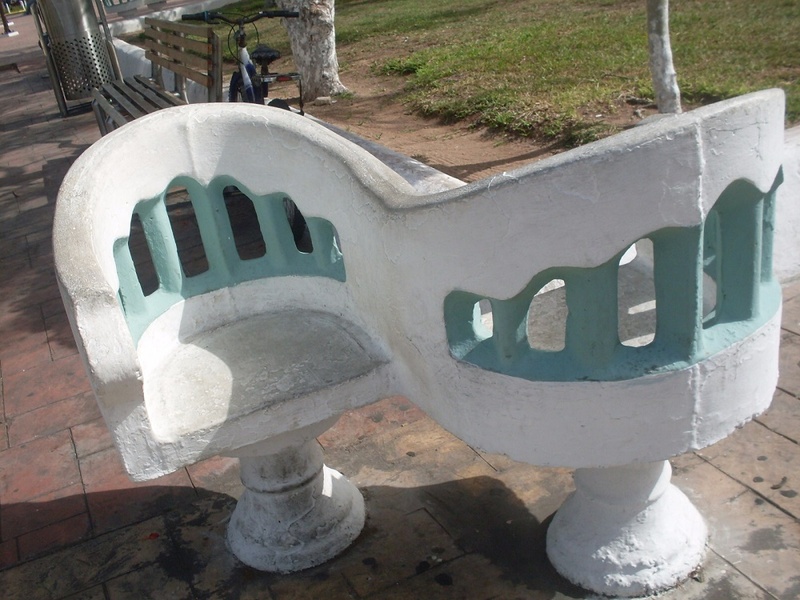 These chairs or benches can be seen all around Merida. The chairs seat two people, they are binary and are usually painted white, and the chairs are connected by their handles on opposite sides, so when you sit down you are facing the other person. These chairs are usually used by lovers, friends and or people that share an interpersonal relationship. The name " tu y yo" is Spanish for you and me, this was the name given to the chairs for obvious reasons. The “tu y yo” chairs have become part of the Yucatan culture and identity. These chairs can be seen mainly in the Square of Independence or as many of the locals call it “la plaza grande”. The chairs were installed there in 1915 during the remodeling of the Square of Independence. It is unsure on why these chairs were constructed. Some believe that it was a design taken from the “butacas confidentes”, this was the name of similar chairs that were designed in France during the Renaissance. 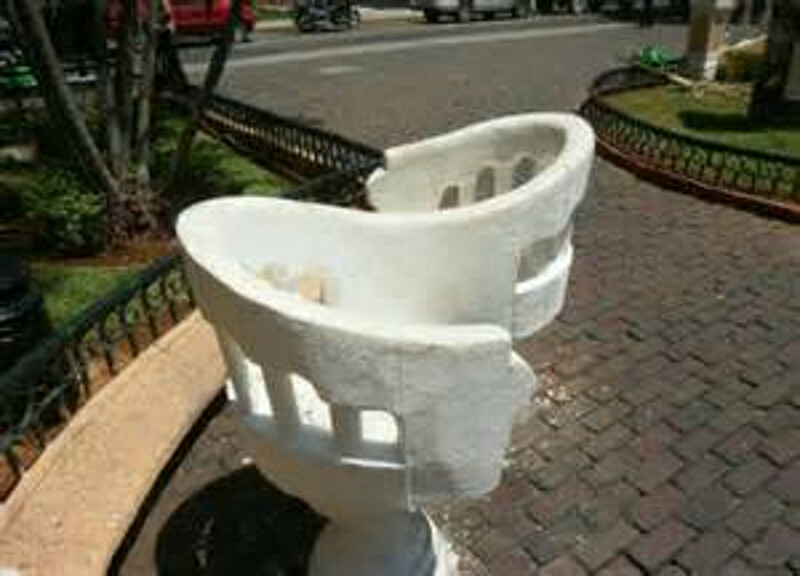 Although the origin of these chairs is unclear, there is a popular legend that many people in Merida like to believe is the reason behind the “sillas tu y yo”. The tale says there once was a very overprotective father in Merida and this man had a daughter who at the time was seeing a boy who she really liked. The daughter would tell her father that she wanted to go out with the boy, but then the overprotective father would ask her “to do what?”, in which case she would reply, “just to talk”. The father agreed to let her go out and talk to the boy, but when the boy and girl were sitting down on a normal traditional bench the father saw how close they were sitting next to each other, so it was then when he decided to create the “sillas tu y yo”. This way the boy and the girl could just talk comfortably without having to sit next to each other. 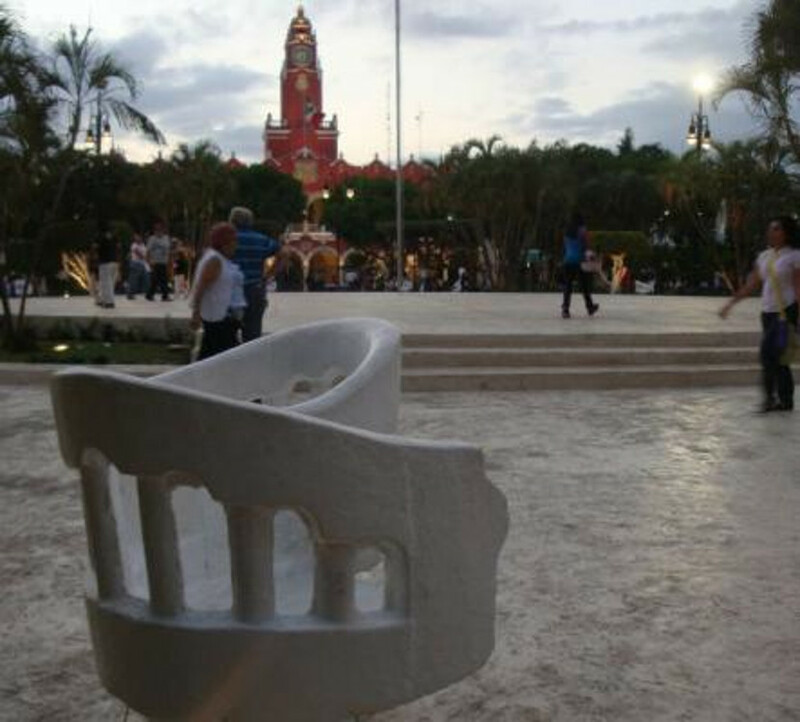 Regardless of what brought these chairs to the city of Merida and now the Yucatan Peninsula, the you and me chairs have become part of the city’s culture and individuality. 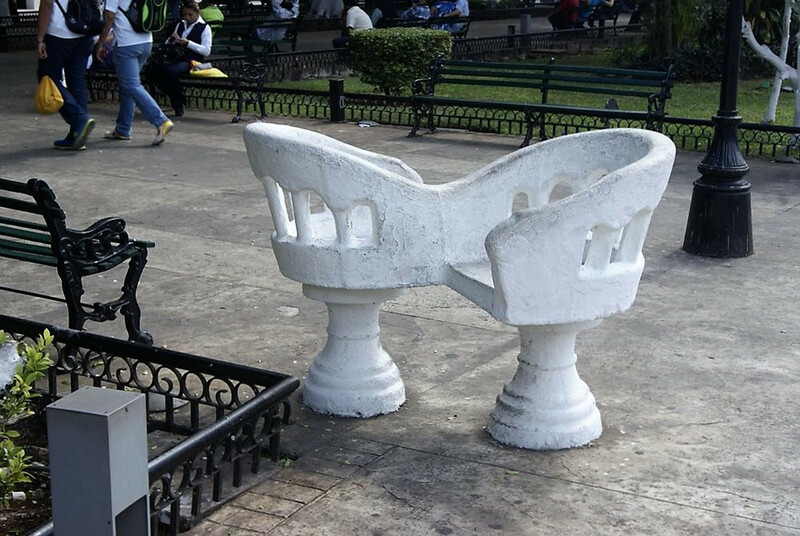 Ruben Alejandro Vazquez , “You and Me Chairs of Merida ,” HistoricalMX, accessed April 19, 2019, http://historicalmx.org/items/show/14.